President Yoweri Museveni has hailed the Uganda People’s Defence Force (UPDF) soldiers on African Union Mission in Somalia (AMISOM) for the good work done in keeping the country’s stability. The President who was in Somalia for the Intergovernmental Authority on Development (IGAD) summit, was visiting Ugandan troops serving under AMISOM at the Halane Base Camp headquarters near Mogadishu International Airport. This has been his second time to visit UPDF in Somalia as his first visit was in 2010. 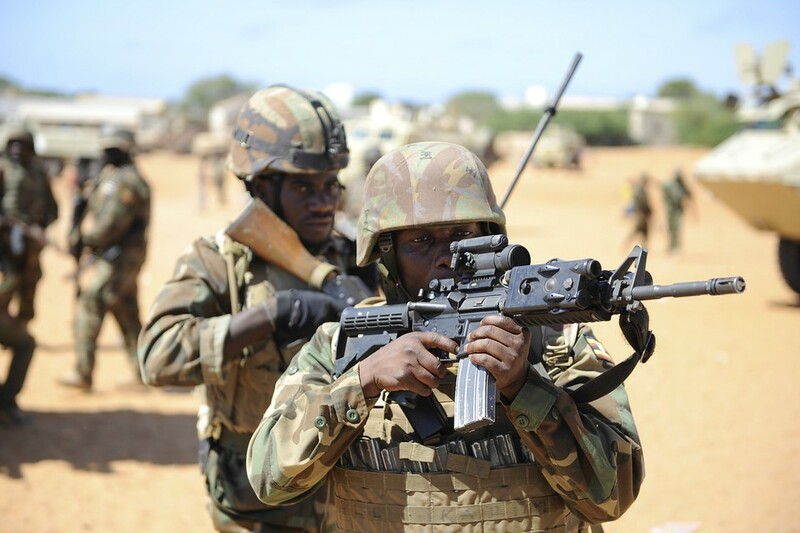 Uganda which was the first country to deploy troops under AMISOM into Somalia in March 2007, currently has over 6,000 soldiers and officers from AMISOM mission, including Burundi and Djibouti.